Most docks rest either on concrete, steel or wooden piles, all of which are subject to corrosion over the years. Past a certain corrosion point, they can become weak enough to endanger the structural integrity of the pier. When that happens, the result is often expensive and lengthy replacement that can carry environmental risks. 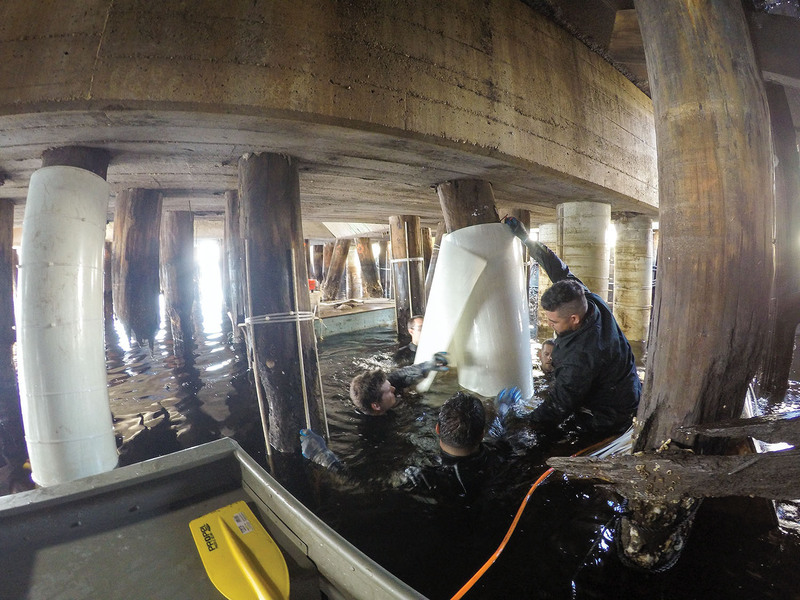 But an innovative company’s patented pier-wrapping process can preserve weakened pier columns, increase their strength and seal them against further intrusions of corrosive water and oxygen, thereby extending their useful life. Since this solution can be applied without interrupting terminal operations, it can save terminal operators time and money. The solution is called PileMedic and the company that provides it, QuakeWrap, is headquartered in Tucson, Ariz. QuakeWrap was founded by Mo Ehsani, its current CEO, who is also Centennial Professor Emeritus of Civil Engineering at the University of Arizona. Ehsani is a pioneer and internationally recognized expert in the development of structural applications using fiber reinforced polymer (FRP) technology. The pile-wrapping solution now branded as PileMedic grew out of QuakeWrap’s earlier work with protecting structures from earthquakes. Instead of using traditional steel or concrete to strengthen piers and structures, Ehsani came up with a saturated carbon fiber laminate that could be used to wrap weakened or corroded structures, making them stronger than steel when the curing mixture hardened. According to QuakeWrap’s website, its patented technology allows large sheets of fabrics of glass or carbon to be saturated and pressed together under heat and pressure to create very thin (0.02 inch) FRP laminates. 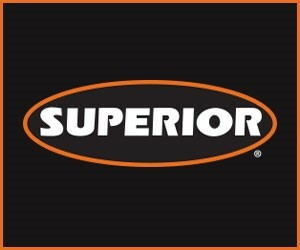 The laminates have tensile strength of over 150,000 psi. and are available in rolls that are 4 feet wide by 200 feet long. The advantages over other solutions are clear, the company says. The material’s strength after hardening is three times that of steel at much lesser weight. Once the solution has cured, it is impervious to water or oxygen, preventing any further corrosion. And because the material is flexible and arrives in sheets, it can be endlessly customized on site. As Ehsani worked further with the material, partly with the help of a National Science Foundation grant, he developed the solution that became known as PileMedic. While especially suited to repairing piles of docks, it is also suitable for piers supporting raised highways or other land-based structures. Ehsani said the Missouri Department of Transportation had ordered the project to be wrapped around the bottom portions of 50 steel highway columns at the intersection of two major highways in suburban St. Louis. He explained that that’s where they were most vulnerable to corrosion from road salt spray in winter. The fact that the PileMedic solution can be tailored to target only vulnerable parts of columns mean that the entire column need not necessarily be replaced. The material after curing has a high transverse strength, meaning it resists the “side-to-side” pressures on a structure. For dock piers or columns, the company performs two wraps, leaving space in between the layers to be filled with concrete. The two wraps provide extra protection against moisture. The wraps can be stacked on top of each other in four-foot section down to the river bottom or sea floor, if necessary. Each layer is “glued” to the layer above, to create a virtually seamless seal. 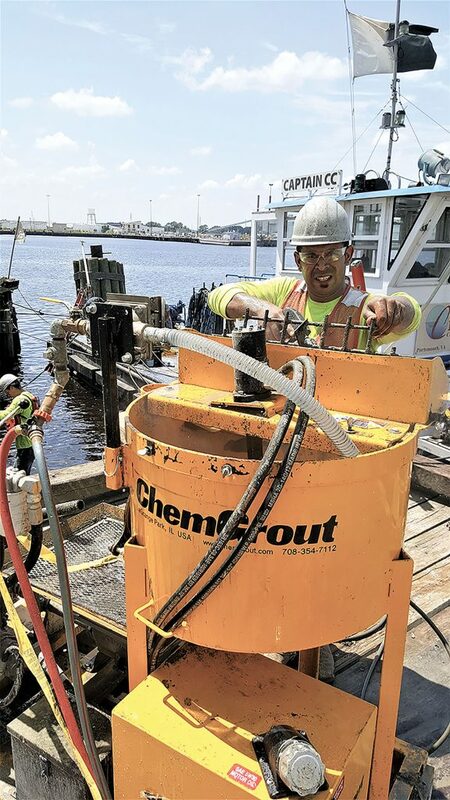 Ehsani told The Waterways Journal that while there are competing products that address the same need, they don’t have the flexibility and customizability of PileMedic. Hard-shell wraps around columns, for example, are usually made in two half-sections and fitted together on-site. They must be customized to the project dimensions off-site, though—a more expensive and cumbersome process, and they don’t have the seamless fit of PileMedic, he said. He said that although it is not the least expensive product per square foot, the fact that PileMedic can be so precisely tailored and fitted to projects results in savings. The Missouri Department of Transportation, for example, was able to achieve significant savings with its wrap of highway piers because it only needed to target the 2-foot vulnerable sections. A YouTube video illustrating the PileMedic solution being installed at a Virginia pier is available at www.youtube.com/watch?v=U-gvVBcztw0&feature=youtu.be.